If you recall, last week a liberal reader named Robert emailed me about my WND column ("The nightmare before Christmas"). Well, he's baaaaAAAAAaaack. I assure you, dear readers, I've had nine years of Robert's emails, and I finally decided they're too good not to share. So first, please go read this weekend's WND column entitled "Come in from the cold." minds of atheists ? Why do you assume they feel a “keen ache” because they don’t believe in a a God ? What makes you think atheists “hate” God, something they don’t even believe in ? This is like saying the Japanese “hate “ Godzilla because of the terrible things he did to their country ! people all over the world . Saying unbelievers feel a" keen ache “ is like saying people feel a keen ache for not believing in Santa Claus and the tooth fairy , or for not believing the earth is flat or the sun revolves around the earth . No offense meant . I know many atheists, and they are some of the nicest, kindest, most generous and caring people you could ever imagine . They don’t need an ancient book to be good people . And please, enough from you conservatives about the alleged “war against Christmas “. This is an urban legend . I’ve never been the least bit offended when people say Merry Christmas to me on December 25th . And none of my liberal friends are offended by this either . We don’t want to stop anyone from celebrating Christmas and we don’t want anyone to be “persecuted “ for saying Merry Christmas . I sincerely wish Robert the peace of Christ this Christmas. Sounds like he needs it. robert makes valid points. if we could all just try to understand one another and not judge. His message was doing just fine until the last paragraph. He then just had to spout off all of the typical liberal claptrap. The sad part is that he and all of his ilk believe all of that. So sad really that all they can base their talking points on are feelings. In a sense, he's right; how can we "know" that atheists are unhappy, or that they have this ache you referred to in your column, Miss Patrice? Admittedly, unless they communicate to us directly, there's no real way. Either Jesus is who He says He is, and proved it by rising from the grave . . . or He isn't. If not, well, as Paul wrote, we of all people are the biggest fools, worthy of nothing more than scorn, or perhaps pity. But what of that? Upon what basis does Robert, or any other atheist or agnostic care? By what standard - since there's no God to be accountable to, no objective good or bad - does he judge Trump or anyone else? This isn't a game. It's not about us winning, and their losing. It's not even about us! We're certainly not any better than they are, sinners that we are, justly deserving eternal damnation; rather, by faith alone, by grace alone, by Christ alone, WE'RE JUST BETTER OFF! I'll only say this to the Roberts of the world: "Go ahead, live your way. You know what you know, I know what I know. Both of us will fare according to that knowledge. Let me know how that works out for you." 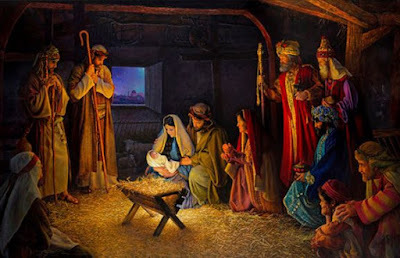 Once again, a blessed and merry Christmas to all! Robert makes my head hurt. Merry Christmas to you and your family, and all best wishes for 2018! p.s. I think it's spelled 'missive'? If Robert is happy that is good. Because for him, this life on earth is as good as it's going to get. Just as we can't "speak for atheists" according to Robert, neither can he speak for other atheists, only himself, since NO-ONE puts all their cards on the table. Something Robert doesn't understand is that hell will be FULL of "nice" people, and heaven will have a few folks that most people considered jerks. Robert makes a few legitimate points, but it's still obvious that he lives in some parallel universe, not this one. My deductible went up to $1200.00 under that fools affordable (HA!) health care plan and my heart doctor refuses to see me until I pay it. Arguments like that make me think of two quotes, one by Shakespeare and one by my father. Shakespeare wrote, "The lady doth protest too much, methinks" and my father always used to say, "It takes a lot of work to get outta workin'." Dad always thought it was easier to just to the work and get it over with...it wasn't going anywhere. Acknowledge it, do whatever needs to be done, and move on. "They don’t need an ancient book to be good people. " I see this a lot in my friends. They fail to recognize the community values they have grown up from did, in fact, come from that ancient book. These are first generation atheists and their moral base will slowly morph as they lose the stability that comes from following a moral and caring God. I agree with Robert until he gets to the Trump part. Re: not knowing how atheists think: I have a 70+ year old friend who is an atheist. Four years ago, her only child died at 40-something. I can tell that my friend is haunted by this, and occasionally confides her pain with me. Much of her pain comes from the fact that she doesn't believe in anything beyond the here and now. It's not just the loss, but that, for her, it is so final. No hope of reunification through Our Lord. I can't experience what she is feeling, but I can see the result of her 'thinking.' I can't imagine the hopeless feeling. We've had some discussions about faith and God, but. It's just too hard for her to go there. I also pray for her, but she's even more stubborn than I am. As for the writer's lib trump-trashing, they can't resist tying everything int he universe to how horrible they think this man is. One mention of the lawless mess left in Obama's wake and they meltdown. It is a mental disorder characterized by an inability to use logic and deductive reasoning. Welcome to the public school system. Why does Robert even claim to be a secular non-observant Jew? The Jews were God's chosen people and they rejected Him so often I think the count is in the thousands of times throughout history. In my 5th reading of the Bible I see both the good and the bad. Kings, Judges, Priests, Prophets, and just regular Joe's that either embrace God or reject Him. Robert has chosen rejection. Do I know how he feels? Not a chance. That will ultimately be his to deal with when they meet at the judgement. Because he doesn't seem to believe in the judgment doesn't necessarily mean it isn't going to happen. We WILL find out won't we in the end. I plan to pray that like many who have rejected God and are truly seeking that one day he may come around. Just the fact that he has been writing you Patrice indicates to me he has not stopped looking. We call these seekers now. Deep down I think he is actually a seeker. He has admitted to one thing in that he is NOT an atheist. That is the first step. I encourage Robert to take another. Then take another. See the Light that is the real Christmas! 4 And my speech and my preaching were not with persuasive words of human[a] wisdom, but in demonstration of the Spirit and of power, 5 that your faith should not be in the wisdom of men but in the power of God. Our faith will never make sense to those in the world. "obviously we shouldnt steal, murder, etc" why is it obvious? if there is no God, no creator, and we are all just animals trying to survive and not made in the image of the Lord of the universe, it should be nature as usual for us to choose ourselves first and kill, steal, etc. We know its wrong because there is a Holy God who lives. Just my opinion, but it seems to me that Robert makes some valid points. And I think he delivered them pretty peacefully and respectfully too. Agree with quite a bit of what Robert says even though I'm not an atheist or agnostic. Respectful and well thought-out. Eh, I must have a thin skin. I can't seem to get over the way unbelievers talk to the rest of us. Merry, Happy, Joyful, Blessed to one and all. 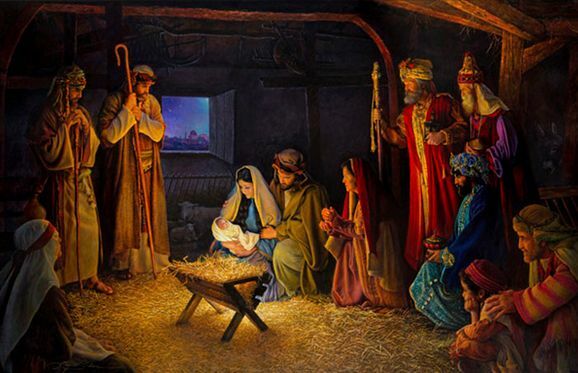 Merry Christmas to those of us who celebrate Him. My thought is if Robert's of this world don't believe in God, then why do they celebrate Christmas? As much as i dislike to say it, Robert did raise some valid points. That said, as others have said, he is obviously still seeking. The fact that he keeps reaching out, Patrice, shows you have touched him. He is reasoned and respectful unlike many of the other trolls. He might be a 'keeper' that could end up as a a believer. As long as his discourse remains respectful, I would continue to engage with him, even though I do not agree with all of his comments. Merry Christmas and Happy New Year to everyone! Why do people scoff at preppers?